Ohio’s 90’s alt-rock legends, The Breeders are riding high at the moment. They are currently on a world tour in support of their highly-anticipated fifth album, All Nerve, which was released in March on 4AD. The excellent new album sees sisters Kim and Kelley Deal reunited with the classic Last Splash-era rhythm section of bassist Josephine Wiggs and drummer Jim Macpherson. This lineup reunited in 2012 for a lengthy tour and 4AD released a comprehensive box set in celebration of the 20th anniversary of Last Splash, entitled, LSXX. 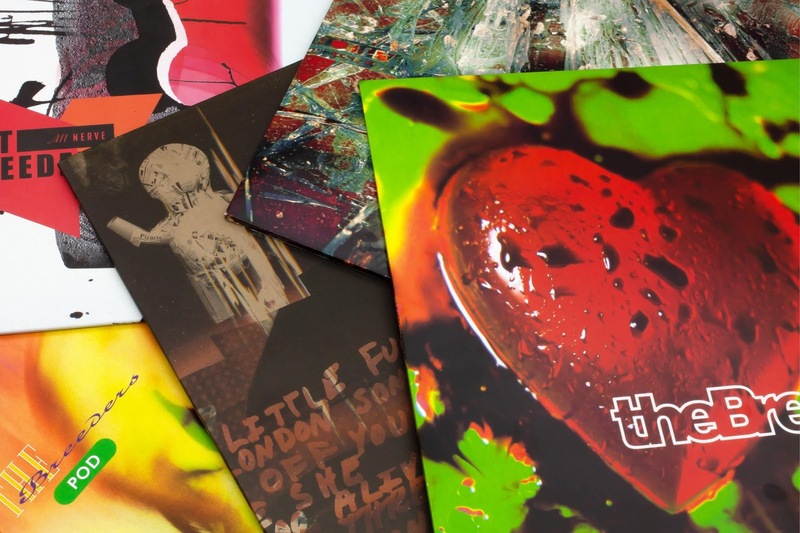 Now in celebration of its 25th anniversary, 4AD has released The Breeders’ first four albums on vinyl. Unbelievably, this is the first U.S. vinyl pressing for their 1990 debut, Pod and 1993’s Last Splash. The albums, Mountain Battles and Title TK were also reissued on vinyl after being out of print since their original release in 2002 and 2008, respectively. So now you can relive the first time you heard icons Kim Deal and Tanya Donelly team up on Pod, feed your hunger for nostalgia with “Cannonball” and “Divine Hammer” from Last Splash and complete your Breeders collection with Mountain Battles and Title Tk, on vinyl as they were meant to be heard!